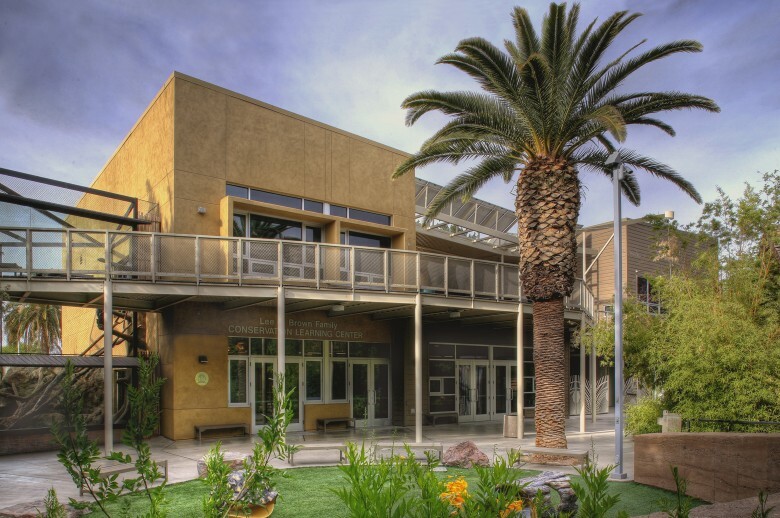 The Conservation Learning Center is a physical statement of Reid Park Zoo’s commitment to the conservation of biological diversity and the first LEED Platinum certified project in Southern Arizona. The building serves as an exhibit that engages and inspires visitors to “live green” by showcasing the practicality of environmentally responsible design while demonstrating the highest standards of sustainable building practices. Active and passive rainwater harvesting, along with low flow plumbing fixtures, graywater and reclaimed water systems, work together to reduce potable water use by 53%. The insulated building envelope and efficient heat pumps reduce the building’s energy use by 51%. Photovoltaic panels generate 48% of the building’s energy needs, providing a 75% reduction in overall energy use. Recycled and salvaged materials, pervious concrete, and low VOC finishes are additional components to this unique and sustainable design. This entry was posted on August 23, 2013 by swaim_admin.